Chevy winds down 2018 Bolt sales - 2019 production begins in July. Unfortunately, due to GM's recent decision to withhold monthly sales reports in favor of a Tesla-like quarterly reporting system, the following numbers are estimates. InsideEVs considers this information important to our readers and a testament to what we've been doing for some time. So, we won't deprive you of what we've learned over the course of the month. Our goal is to be as accurate as possible with the estimate. Our numbers are primarily based upon daily inventory tracking, as well as accounts from buyers, dealers and other sources. Keep in mind that we will watch, update, and adjust the sales scorecard in July when GM releases final quarterly sales. 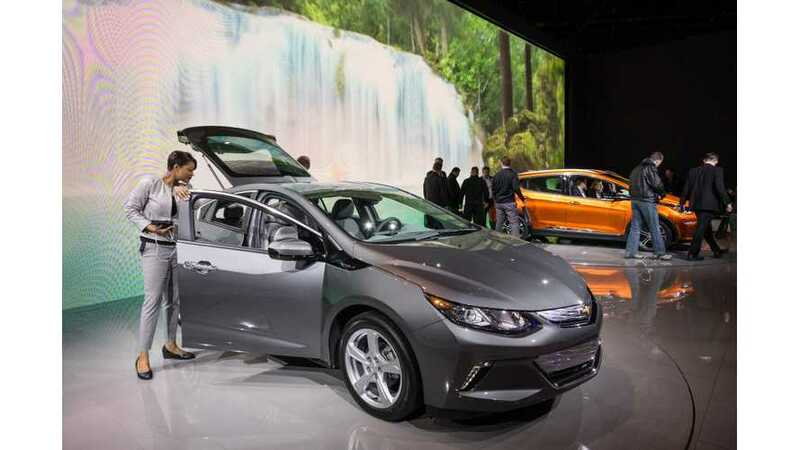 In March and April, the Chevrolet Volt barely edged out the Bolt EV in sales. In May it likely has led the Bolt by several hundred units. The primary reason Bolt sales are sagging? Inventories have almost completely dried up, due to high demand and a shortened 2018 model year. Chevrolet stopped taking new orders in May and will begin taking orders on the 2019 Bolt in mid-June. For confirmation I reached out to Buzz Smith, an EV activist in the Dallas-Fort Worth area and salesperson at Classic Chevrolet. "The last week a 2018 Bolt could be ordered from the factory was last week. Filling the last orders will keep the plant turning out 2018's for a month or so." Stated Buzz, adding that "Bolt EV production will be stopped for the model year change for a very short time. (3 days)"
According to the dates provided, orders placed by May 24th should be filled before 2018 production ends on July 27th. 2019's will begin production just 3 days later on July 30th. Orders will open for the 2019 model year starting June 14th. Bolt deliveries have also resumed in South Korea. Between late March and the beginning of April, approximately 500 units were sold. This has also further strained US inventories of the popular electric hatchback. Throughout May, inventories of the 2018 Bolt hovered around 1,000 units. After tracking inventories and considering these additional factors, we believe Volt sales surpassed the Bolt once again in May. For the month of May 2018, we estimate U.S. Chevrolet Bolt EV deliveries at 1,125, compared to last May's 1,566 and last month's estimated 1,275. Meanwhile, the Volt moved an estimated 1,675 for the month. Thankfully, Chevrolet seemed to plan for this Bolt shortfall by bulking up Volt inventories as an alternative. Volt sales are off slightly compared to May 2017's 1,817, but appear to be trending upward. It seems GM is aware that it's highly successful, long-range plug-in hybrid may still have some pull with buyers. Let's face it, searching for any new car sheds more light on the segment overall and more people's eyes are opened to electric vehicles. 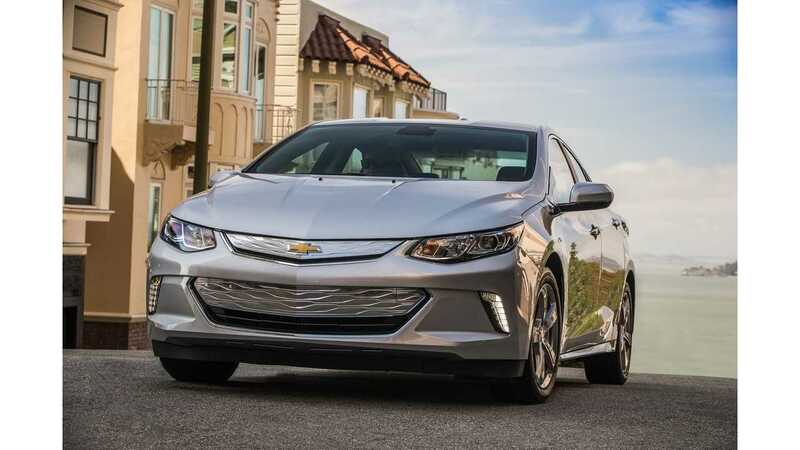 Despite increased competition, very few other PHEV (EREV) offerings have the sportiness, range, availability and reliability of the Chevrolet Volt. It can also be assumed that those looking at all of these newly offered plug-ins have come to realize the Volt is an incredibly viable option. Moreover, some people initially considering the Bolt are likely finding that the Volt's feature set is the better choice for their priorities.